Girls, Magic, Sparkles, & More | Where I talk about things . . .
Where I talk about things . . . I spent my childhood, well nearly a quarter of my life watching animated programming. There are so many shows to list, however I am going to talk about my favorites. I collected dolls growing up. I loved playing with Barbie, Polly Pocket, and MyScene dolls, styling their hair even if it meant cutting said hair. I got dolls as presents for Christmas. I have autism. No, seriously. I really do. Gather ’round and listen well. I’ve got a story to tell. A fair warning, this story is long. I’m going to come right out of the closet and say this proudly with a loud voice. I HAVE AUTISM! YES, I REALLY DO HAVE AUTISM!! You all may be thinking, “How in the world can a girl/woman have autism? !” “That’s impossible, only boys/men can have autism!” But, sadly, that isn’t the case. Not at all! Girls’ autism can go misdiagnosed, we’re known as the “Lost Girls”. So, yes, autism is present in both sexes. The thing, however, is that autism more common in the boys/men than in girls/women, a ratio of 4:1 or 5:1. Autism’s a spectrum disorder, think of it as multiple ice cream flavors and toppings. It all started back when I was roughly 4-5 years old, I was a little girl starting school for the first time. My memories are bit fuzzy, so sorry about that. I’m not sure when I actually started school. I lied! Or did I really? This is too confusing! I’m certain I at least started kindergarten. Throughout elementary school, I only had a few friends, approximately 2-6, they were mostly all girls, just like me. I considered myself to be the shy, quiet one, an introvert. I’d be keeping things to myself often, never really striking up a lengthy conversation about my hobbies & interests. I rarely spoke to fellow students when we broke off to do group work in second grade. At that time, I had to work on the basics such as math, language arts, science, and social studies. I wanted to have lots of friends back then, around 20, at least, to expand my social circle. One downside, however, was that I didn’t know exactly the right words to say, my social skills didn’t come to me naturally. I felt completely lonely, this was not okay. I really wanted my classmates, who weren’t my friends, to have a chance and get to know me better, I wanted to fit in, to feel important. I’d try and hide my symptoms of autism, though, I failed. I developed to an obsession . . . to be completely perfect, without faults. “Help!” by the Beatles. Duh! It was during sixth grade that I may have started “crushing” on boys, possibly earlier, like, fourth or fifth grade. What was this feeling? It was strange. In my years of early childhood/adolescence, I’d have a refuge in anime/manga and cartoons, something to keep my imagination flowing. As a result of this, I had created original characters. My characters were people I could easily talk to. I looked up to many existing fictional characters, such as, Sailor Moon and Lucia Nanami as my role models for being optimistic. I could relate to Usagi/Serena, the main female protagonist of Sailor Moon. She was a crybaby, though, however, I hadn’t seen the show on TV as a child. It was eighth grade, that I had met a fellow student. This girl, I had befriended quickly. This is real, this is me. I’m exactly where I’m supposed to be now. Gonna let the light shine on me. Now, I’ve found who I am. There’s no way to hold it in. No more hiding who I want to be. This is me. Today, I have plenty of friends, people exactly like me. This makes me truly happy. I still have a whole lot of work to do before I interact with the “typical” people. I’m starting a new venture: Posting my though on an episode of a show! Hello! I want to make some announcements. I am going to start making some changes to the blog. The first change is that I will tag my posts more often. I’m creating new tags for this to clear up some of my posts, if possible. I have updated my profile avatar picture on here and the Facebook as means of starting the new year off right! 2018 is coming to a close~! 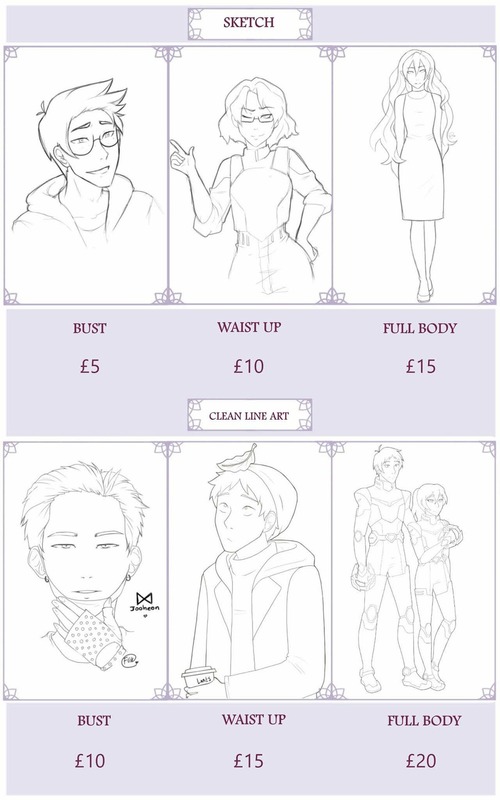 I’m opening commissions for the first time! 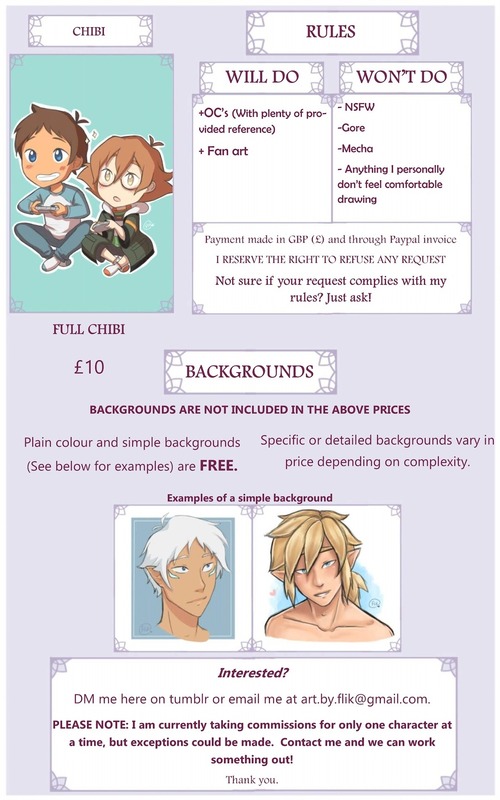 Since this is my first time, I’m only definetly accepting one character per commission. Please read all of the above information before contacting me!m about this! 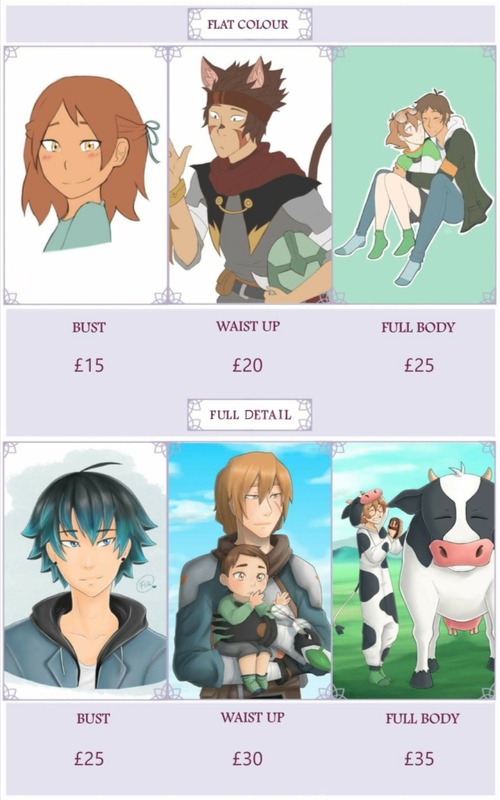 And if you could please reblog and help me spread the word that would be a huge help ❤ I’d be really grateful!